The Azerbaijan Republic has had the highest number of visitors to Iran in a nine-month period this year, according to media reports. 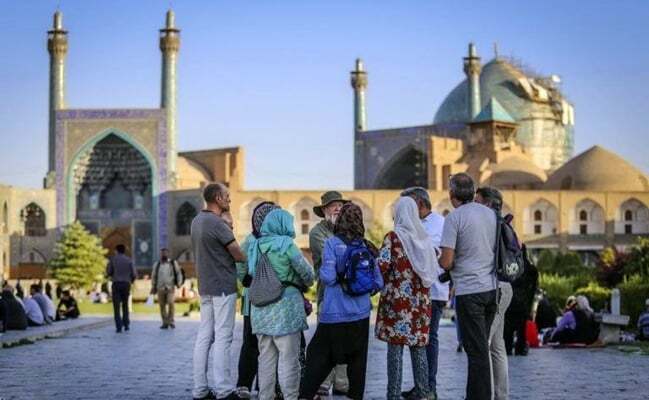 At least 1,068,000 Azeri tourists visited Iran in the first three quarters of 2018, up 53.2% year on year. This comes as the number of visits to the Azerbaijan republic dropped by 32.7 percent in the same period. Experts believe the reason behind a rise in the number of visits to Iran by Azeri nationals is the devaluation of the Iranian currency, the rial, and a rise in the value of the Azerbaijan Republic’s currency, the Azerbaijani manat. In recent years, Iran has always been at the centre of attention by Azeri tourists. Azeri nationals have been visiting Iran mostly for medical treatment, visiting holy shrines and touring the country. Iran is considered the second popular destination for Azeri tourists after Georgia. However, with a rise in the value of the greenback against the Iranian rial this year, Azeri nationals, especially those residing in border towns, chose to visit Iran to buy different commodities. Another contributor to the rise in the number of visits to Iran by Azeri nationals is a visa waiver program which allows them to travel to Iran without a visa while Iranians have to obtain visas in order to visit the Azerbaijan Republic.